Education First offers discounts to many Texas theme parks. Do you go wild over exotic animals? Dive deep into Moody Garden's aquarium, or zip high above the ground on its rope course. If steep slides and rapids whet your desires, plunge into a Schlitterbahn water park. And Six Flags is legendary for its adrenaline-fueled attractions, including the looping, twisting Batman, and the spinning, tilting Batwoman Whip. Spin, spiral, twist, plummet and plunge. The excitement never stops at Texas theme parks. 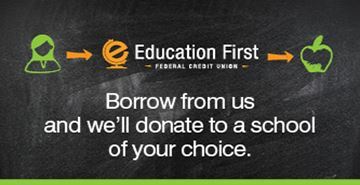 With the discounts provided by Education First, you could visit all of them. Get one-day tickets for $48, a discount of nearly $17. Select the One Day Pass on the Moody Gardens website and enter the promo code "edu2015" when you check out. Admission is $45.99, plus an $8.99 processing fee for each order, a discount from the peak rate of $82.99 for a one-day pass. Click here to purchase tickets.